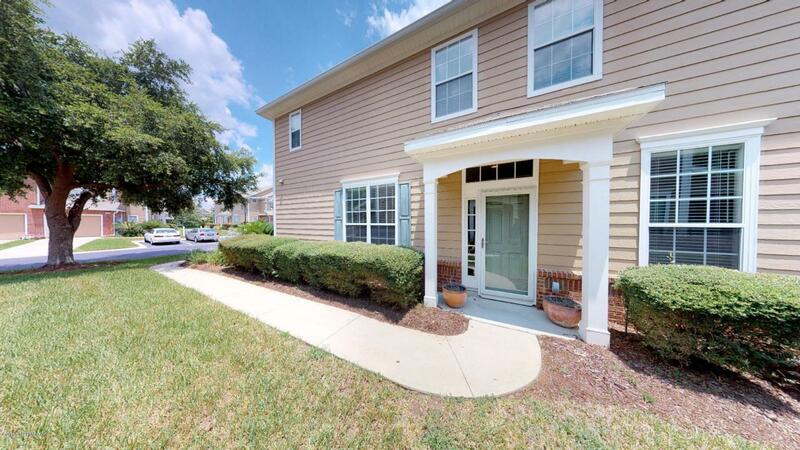 Spacious 3 bedroom, 2.5 bath townhome in Wolf Creek! This unit boasts 1,660 sq. ft. of living space, beautiful laminate wood floors in the living room and tile in the kitchen. The kitchen has upgraded stainless steel appliances, dark cherry wood cabinets and corian countertops. Half bathroom located downstairs. Upstairs you have 3 bedrooms and 2 full bathrooms. Master bedroom is a great size and has a large walk-in closet. Master bath has dual sinks and garden tub! The townhouse features a 1 car attached garage and a nice screened in patio with a preserve view! Located near the cul-de-sac and right across the street from guest parking. This unit has a prime location!! HVAC was replaced in 2015!